Here we go again! 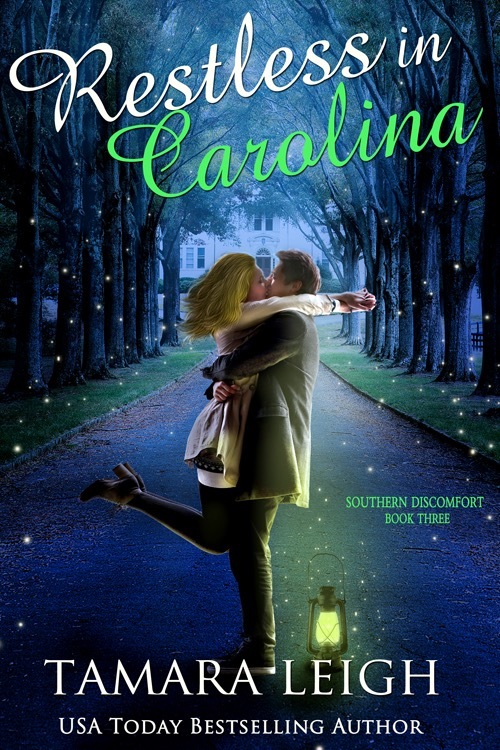 The last Evolution Of A Cover was for NOWHERE CAROLINA, the second book in the Southern Discomfort series (Available 12.30.15). 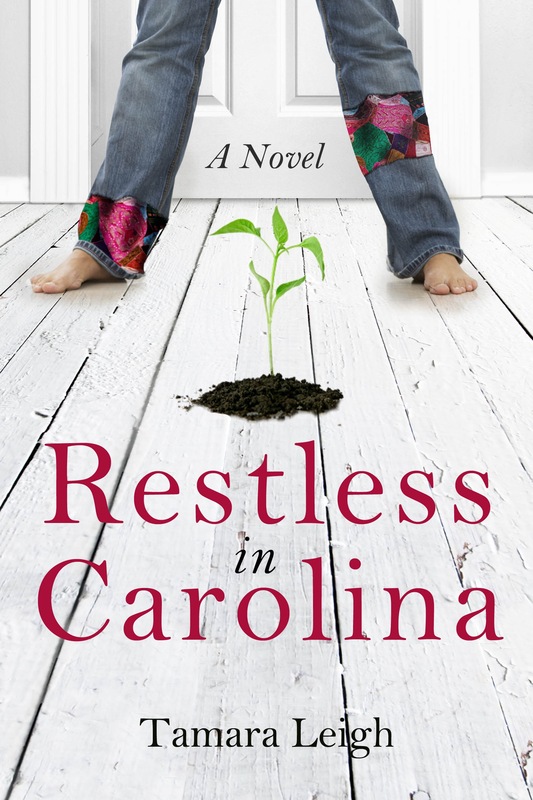 Now for the third and final book, RESTLESS IN CAROLINA. 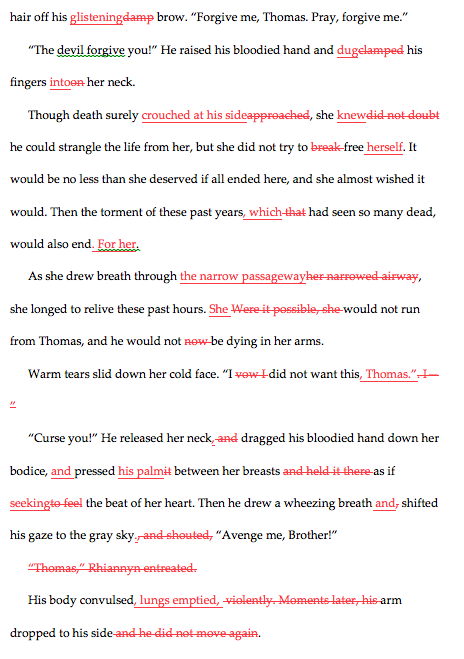 The following process took my cover designer about a week. 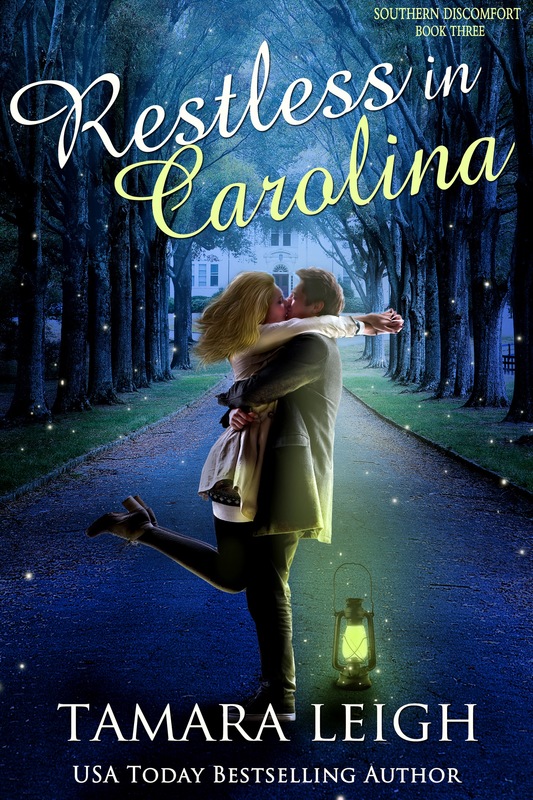 PART I: The Original Restless In Carolina ~ I was thrilled with the original RESTLESS IN CAROLINA cover from Waterbrook/Multnomah–unique, fun, and it said Bridget Pickwick up one side and down the other. 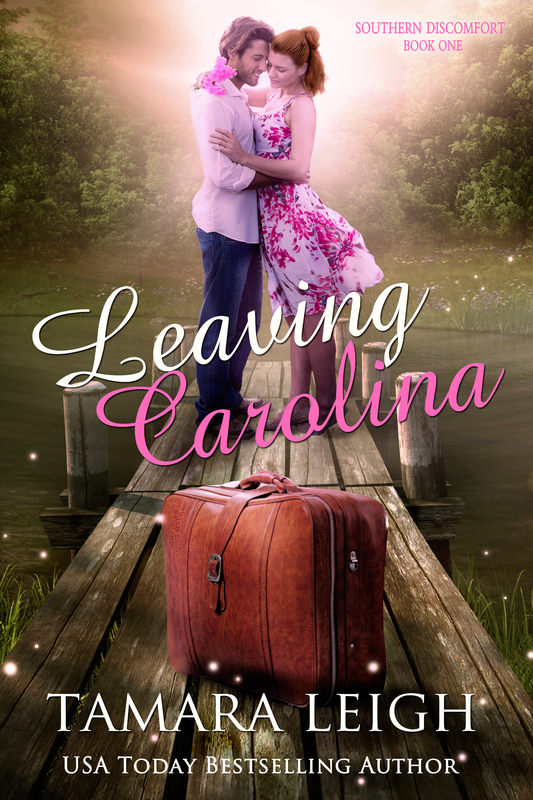 But it’s time to put a new cover on the book that allows readers a look at the face above those jeans–and, of course, her hero, J.C.
PART II: Sigh-Able Places ~ When I landed on this sigh-able background, I knew it was a perfect fit–just as I imagined the Pickwick mansion at the end of that long driveway. 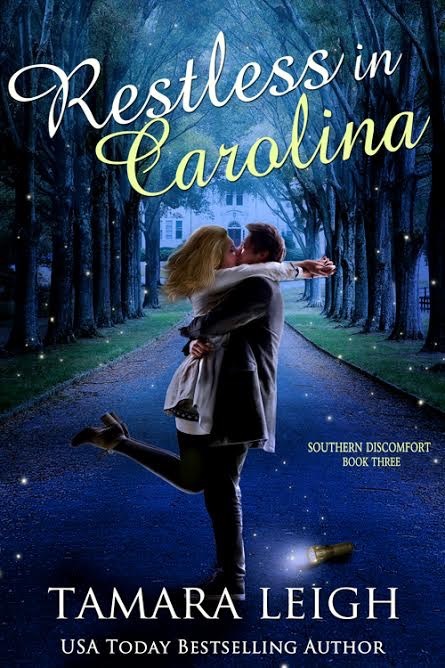 PART III: Finding The Perfect Bridget and J.C. ~ I fell in love with the joyous kiss shared by this couple and nearly used the photo for the new cover of NOWHERE IN CAROLINA. But it kept whispering “Bridget and J.C.,” so I held it in reserve. But now there’s work to be done. My once-upon-a-dreadlocked Barbie doll is a blonde, and J.C. doesn’t sport an earring. PART IV: Of Dusk and Fireflies ~ The perfect background for that joyous kiss! The lamp is a great prop, but its placement is awkward. I keep imagining J.C. backing into it (should the kiss get more joyous–and it might). Hmm. What do you think about a flashlight instead? Thumbs up on the fireflies. However, let’s cut back on their number–love me some sparkle, but that’s too much. Bridget’s hair could be darker and needs more detailing. As for that neon green font. No. Just…no. Let’s try yellow, a bit paler than the glow of the lamp. PART V: Losing The Glow ~ Hmm. I like the flashlight, but you’re right, we’ve lost the magical glow over the couple. Okay, back to the lamp (less the tripping hazard). As for fireflies, that number works. 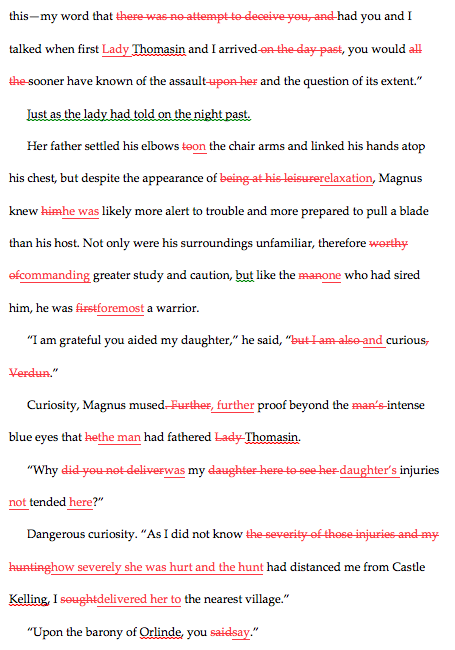 The yellow font is a go, and to be consistent with the first two books, move the series title to the upper right corner. PART VI: Ta da! ~ Series title. Check. Lamp placement. Check. Romance. Check. Introducing the new RESTLESS IN CAROLINA: Book Three (Southern Discomfort) available mid-winter 2016. 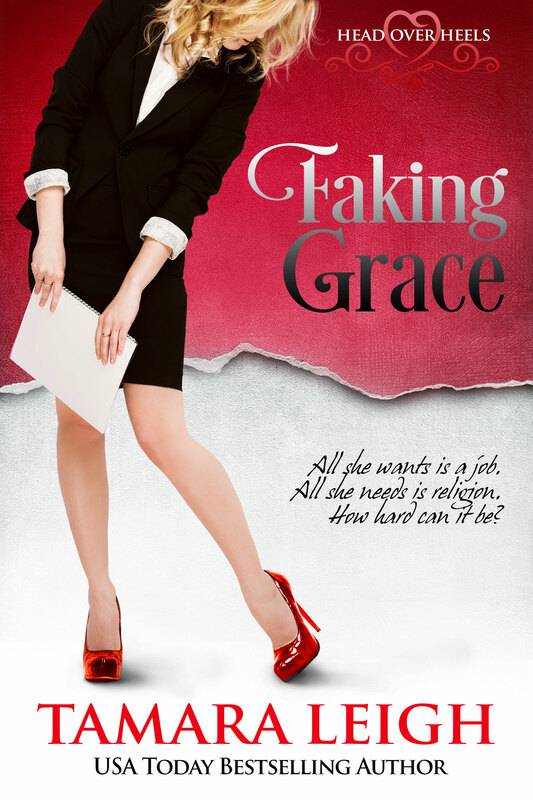 I don’t suppose I’ve mentioned how awesome my cover designer is. Oh, have I? It bears repeating. 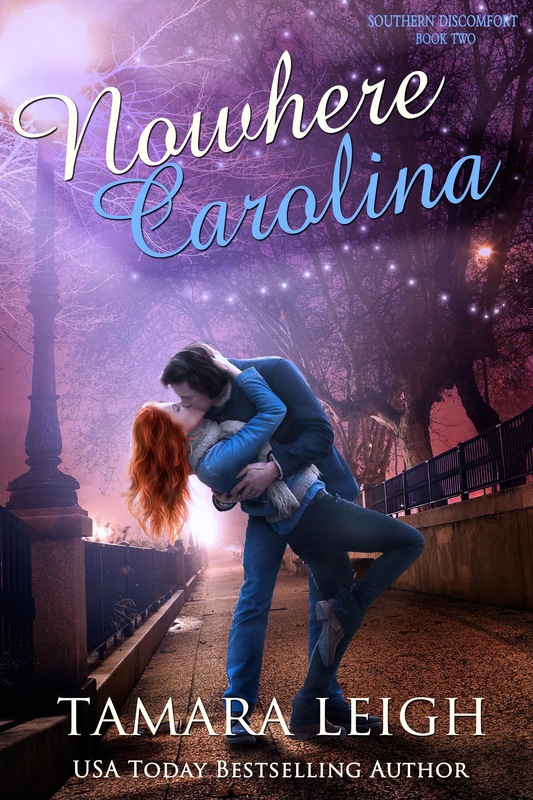 This episode of Evolution of a Cover was to have been for RESTLESS IN CAROLINA, but when I asked my wonderful readers if they’d prefer a sneak peek at BARON OF BLACKWOOD… Oh. My. Word. So coming up–Baron Griffin de Arell and his bride-to-be, Lady Quintin Boursier. P/S: From start to finish, the process took about 5 days. PART II: THE PERFECT QUINTIN ~ “Too soft, too sweet,” I muttered over the multitude of potential Quintin Boursiers. And then in strolled the lady herself, vim and vigor in every step. But that cap? Well, we’re all allowed the occasional fashion faux pas. 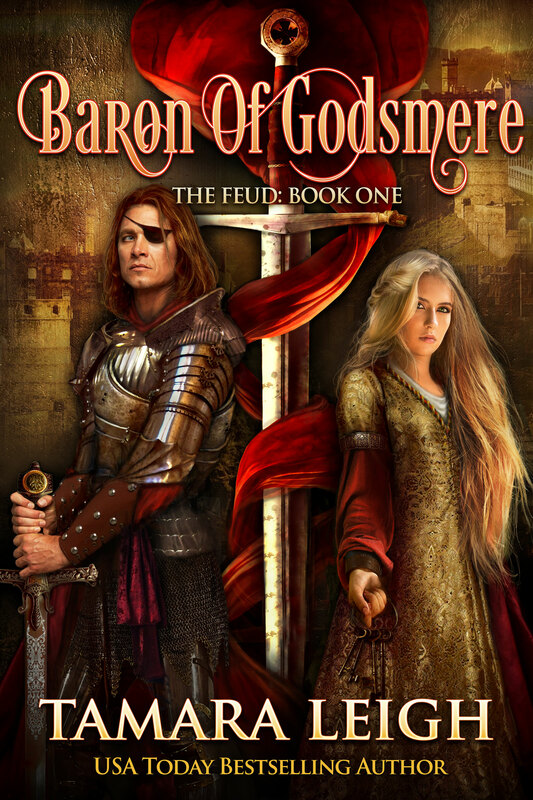 PART III: POSITIONING GRIFFIN AND QUINTIN ~ Here’s the first mock up, using the same format as the first two books in the series, BARON OF GODSMERE and BARON OF EMBERLY, and a similar background to which we need to add a medieval castle. Thank goodness that cap of Quintin’s is history. And love the swirling banner, this time green to represent the house of De Arell. 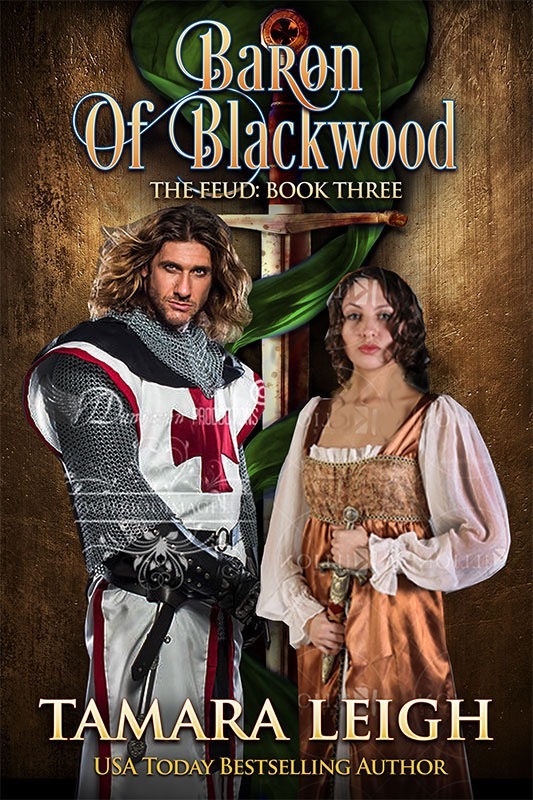 If you’ve read the first book in the series, you know the relationship between these two is pretty contentious–see that dagger of hers?–so let’s turn this couple opposite each other. 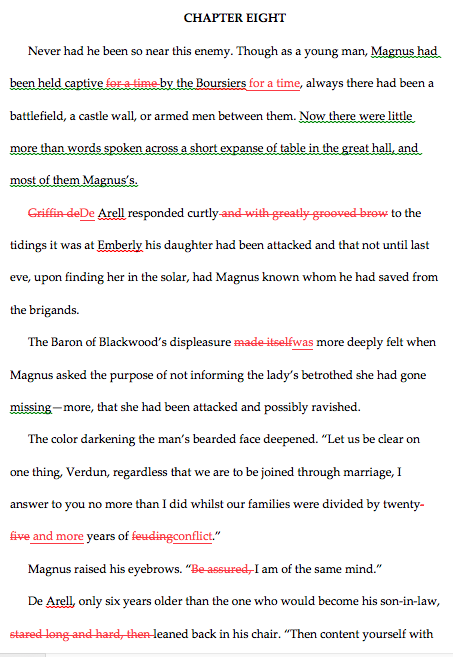 Now, Griffin… Make his tunic black and trim it in green to match his family’s colors, and definitely shorten his hair. Quintin… The color of her gown is a bit bland. Pink? Purple? 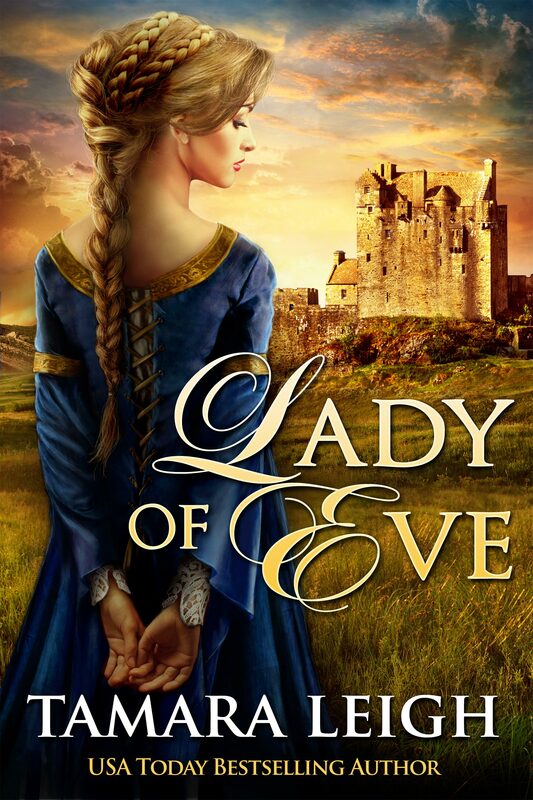 PART IV: PERFECTING GRIFFIN AND QUINTIN ~ Love the castle background, and having the hero and heroine turned opposite each other sets the right tone. Griffin’s short hair is perfect. 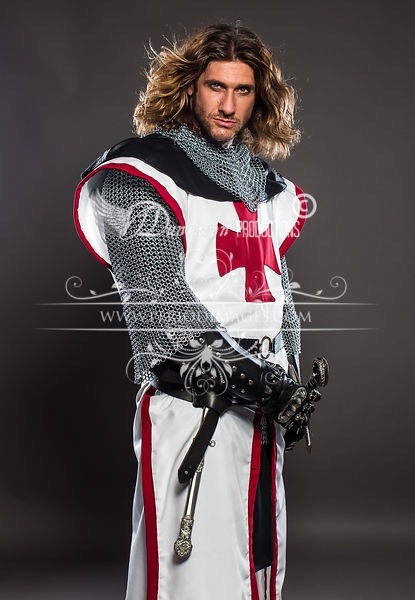 Now his tunic…much better color, but I’m thinking replace the cross with a griffin. And his eyes are intense blue. Quintin doesn’t have the usual medieval lady’s long tresses (with good reason), but let’s lengthen her hair a bit and turn it black. Eyes-wise, hers are Foucault brown. I do like this color of gown, but can I see it in other colors? And what do you think about a necklace? Oh, let’s put space between these two to show more of the banner-wrapped blade. Whew! PART V: OF GRIFFINS AND COLORFUL GOWNS ~ Nice griffin, Griffin de Arell. Very manly. And, my, such blue eyes you have. Quintin’s hair length is about right, so let’s give her some wave. Lovely necklace. The gowns are beautifully vibrant, but none grab me. How about a darker version of her original color? Say, burnt orange? Lastly, there needs to be a bit more space between the baron and his lady. Almost there! PART VI: TA DA! 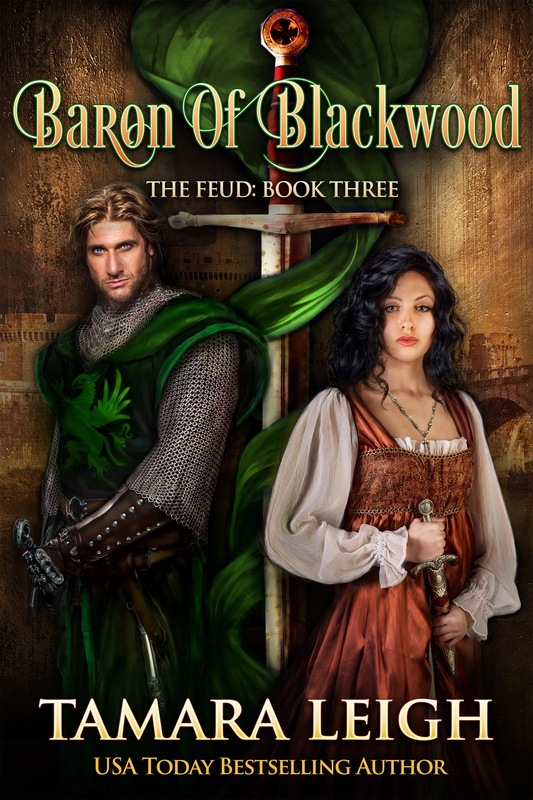 ~ The finalized BARON OF BLACKWOOD! Hopping up and down happy. Thank you for joining me on the journey. Wasn’t that fun? PART VII: AND NOW THERE ARE THREE ~ BARON OF GODSMERE and BARON OF EMBERLY meet BARON OF BLACKWOOD. Just look at those jewel tones! 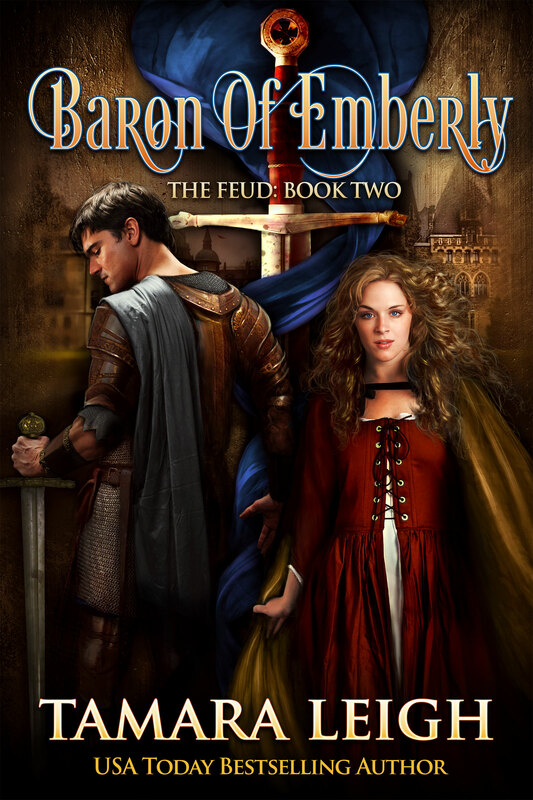 BARON OF EMBERLY ~ NOW AVAILABLE ~ MERRY CHRISTMAS! 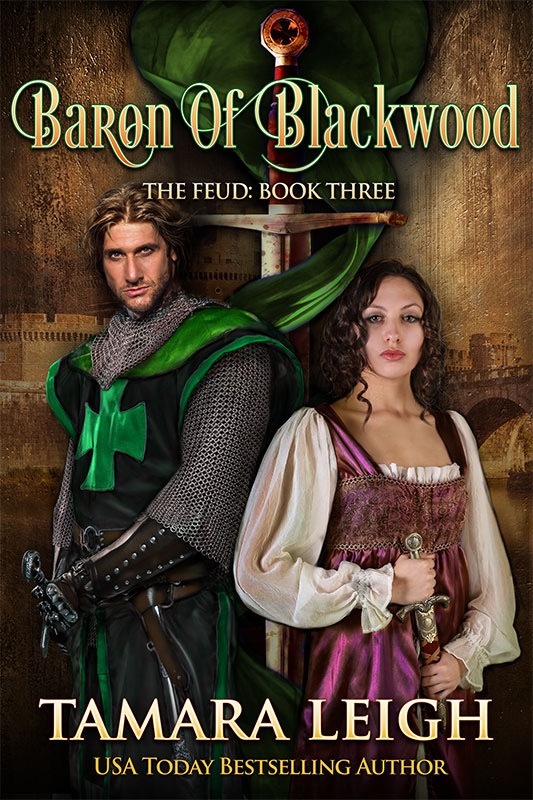 Thank you for your patience in waiting on BARON OF EMBERLY: Book Two (The Feud). 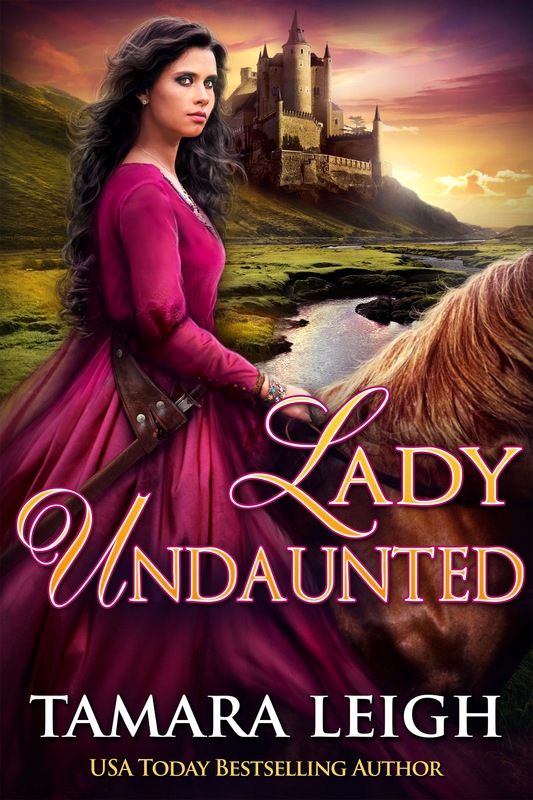 The romance of Lady Thomasin and Baron Magnus Verdun took a bit longer than expected–those two have minds of their own–but it’s finally here. Please welcome them to my fictional family, and if you have time (I know it’s in short supply this season of joy), take a peek at the synopsis and excerpt. 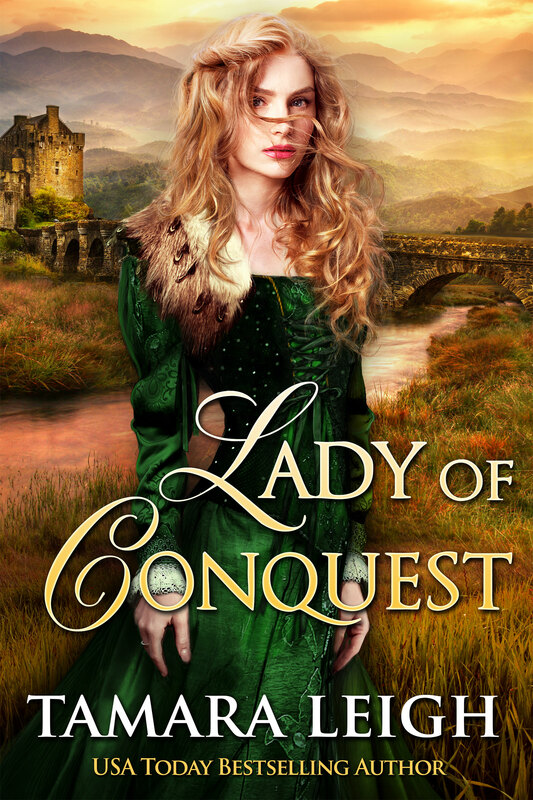 LADY OF CONQUEST: Audiobook Now Available! 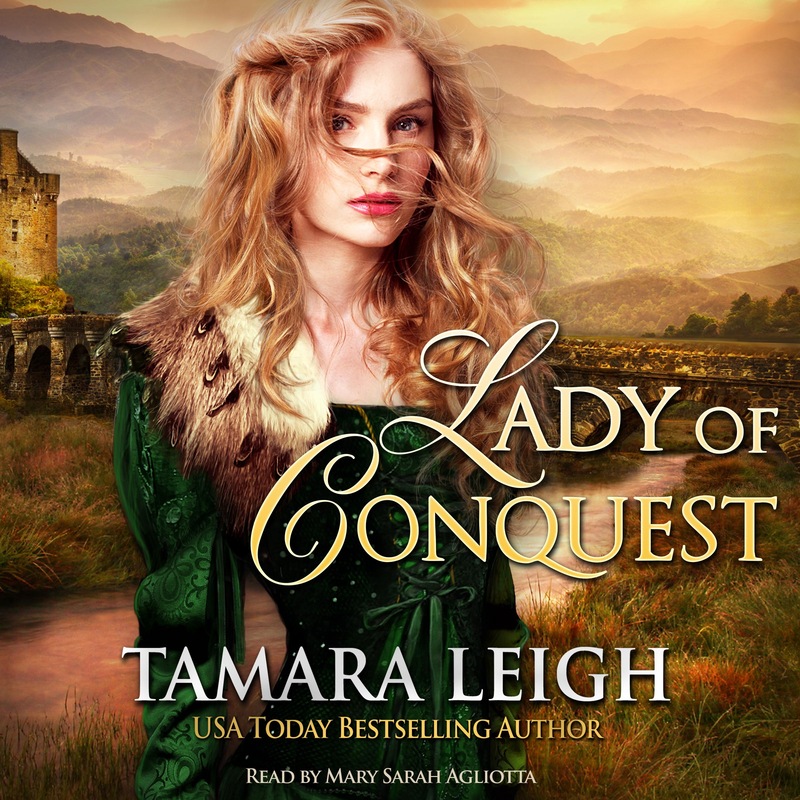 So excited to announce the audiobook release of the #1 Bestselling LADY OF CONQUEST, narrated by the beautifully talented Mary Sarah Agliotta.